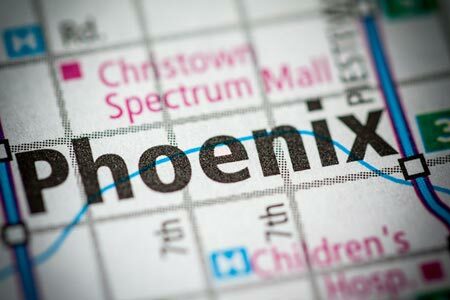 Phoenix, Arizona—Two pedestrians were struck when two vehicles collided and jumped the curb onto a sidewalk. The accident occurred Friday afternoon at 24th Street and Broadway Road in Phoenix. Witnesses said one of the vehicles entered 24th Street and struck a northbound car. Phoenix Police Department accident investigators report that the impact of the crash forced both vehicles onto the sidewalk, where a man and woman were struck. The couple and one of the drivers were transported to a hospital, where the male was pronounced deceased. Police are still investigating. We extend our condolences to the victim’s family and friends at this time of great loss for them. We wish swift and full recoveries for those who were injured.